Did you observe your Facebook newsfeed?? Do you know how the video content basing on your interest displayed in your newsfeed results? How is Facebook ranking the video content? Let us explore these things in detail. Facebook is the most engaging platform across the web as it is the platform where real-time conversations happen. Facebook was turned as the biggest competitor to other social platforms because business from startups to brands are more likely to connect their audience on Facebook. Yes, the platform is meant for business interactions along with the social interactions between users across the globe. Facebook was connecting users across the globe by breaking the barriers of language and distance between the people. Even a simple in-house business man can promote his services by creating his own page. Facebook is the only platform that made advertising much easier to the startup businesses to from organic to paid advertising. Comparing to other social media platforms, the majority of the individuals and startups felt that Facebook is more user-friendly for business marketing compared to other platforms. Hence it is called as the most engaging platform. Which content do you feel more interactive, text and image or video? Yes, we know that the answer was same from general user to the marketer. The video is ruling the world today. Everyone was turned towards video content and are habituated to watch every day. When comes to Facebook video, the results are more attractive than the results obtained from other platforms. In marketer perspective, how do you think about your video promotion? Do want your video to get more views, likes and more reach? Video content has a great impact on present society. The video consumption rates are highly increased across the globe with an increase in smart phone usage. The Facebook video has great importance in marketer’s diary as the video is always the most engaging form of the social media platform and especially on Facebook. The Facebook platform was equipped with bets publisher tools and editing tools for publishers, marketers and users. The platform is encouraging the video ads and video usage. 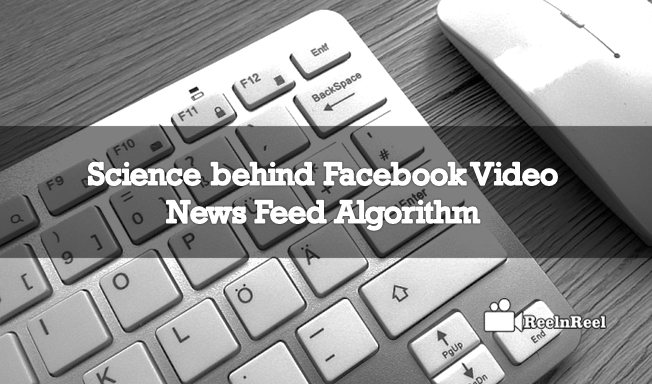 When comes to user perspective, using video and getting relevant video suggestions in newsfeed depends upon the Facebook algorithm. Facebook had well-designed newsfeed algorithm which was developed basing on the user’s interest and recent activities. When comes to video content in the newsfeed, Facebook platform update the results and display results basing on the watch time, views and interest showed in a particular video will more likely to display in your newsfeed and also get relevant video content in the home newsfeed on facebook platform. Facebook continuously improve news feed for videos and live videos too. The main consideration is watch time and how long a video is watched and whether the people are turning on sound or watching in full screen or not. All these things will be considered while fetching the video completion rates. If user love to watch the long form content, then they can more likely to see the longer form of videos in their newsfeeds and vice versa. If you are a marketer and managing a facebook page, then you have to focus on the creation of videos that are relevant and interesting to your audience. Try the best length videos basing on your audience interest with a good story telling. Facebook newsfeed always targets delivering the better newsfeed experience to its users. The main goal of the Facebook platform is to provide the relevant results in newsfeed basing on their user’s interest. The platform ranks the videos basing on several factors like comments, likes, shares etc. The newsfeed is generally targeted to provide relevancy. The video links that are posted by the people directly on to the platform is also considered separately for rankings. Users can check their page analysis and analytics in new video metrics section on the platform. The algorithm was changed the time to time basing on the science of user activities on pages and profiles. Today, users can fetch the average duration of video views and number of video views which are differentiated as organic as well as paid views. The audience retention graphs with page insights will be given in detail. The page insights can provide you the information about clicks, actions, revenue and CPA. Therefore, there is a behavioral science behind the Facebook algorithm as the platform mainly targets the user behavior towards video. Finally, the platform created the best algorithm for video content.